Tree & Shrub Pruning | Port Orchard, Tacoma WA | Archon Tree Services, Inc. Trees may need to be pruned for different reasons such as storm damage, aesthetics, or for the safety of your home and family. Regardless of the reason, we recommend scheduling your free estimate with a Certified Arborist. At Archon Tree Services, our Arborists are trained and educated according to ISA A300 tree pruning standards. Shrub damage is common. Shrubs may look destroyed or heavily damaged, but with proper care, they generally can grow back and fully recover. We suggest letting us survey all of your plants, taking special care to inspect shrubs for damage. Then, contact us for a free estimate! Routine tree and shrub pruning can greatly increase the strength of your plants while also lowering their risk of failure. While it is always recommended to start pruning plants early on in their life cycle, older, more mature plants can benefit from pruning to restore their structure and avoid removal and replacement. 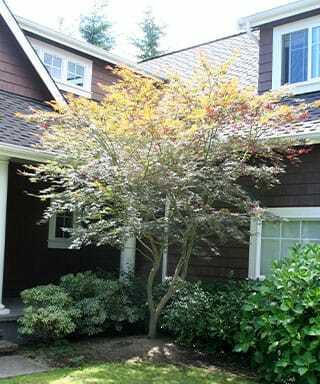 We offer tree and shrub pruning throughout the South Puget Sound areas.